The National Consumer Advisory Board has named Dr. Edward Buckingham of the Buckingham Center for Facial Plastic Surgery in Austin, Texas, to its 2015 directory of the best physicians in America. Dr. Edward Buckingham of the Buckingham Center for Facial Plastic Surgery was recently named as one of "America's Best Physicians" by the National Consumer Advisory Board. The award is only given to doctors who have exceptional credentials and experience and who have demonstrated a commitment to excellence. Physicians are nominated by other doctors for the award. To be chosen as one of the America's Best Physicians, a doctor needs to meet a number of benchmarks. America's Best Physicians, such as Dr. Buckingham, have more than four years of experience beyond residency training. They also average more than three times the continuing education required by the states they are licensed in. They are also highly reviewed online and possess rank as the preferred doctors that other doctors go to for care and treatment. “I am beyond honored to receive this award and to be recognized by my esteemed peers. I’m very appreciative of the trust they place in me to provide the highest standards of care,” said Dr. Edward Buckingham. Dr. Buckingham's recognition continues a career-long dedication to excellence. He earned a 4.0 grade point average for all of his pre-medical school coursework. He graduated in the top 2% of his medical school class, earning the highest honors. While in medical school, Dr. Buckingham was selected to join the Alpha Omega Alpha honor society. He was awarded the Donald Duncan Memorial Scholarship in Anatomy, the Merck Manual Award, and the Edward Randall Medal for Academic Excellence. During his residency at the University of Texas Medical Branch, he was a nominee for the UTMB overall outstanding resident and the president of the UTMB House Officer Association. In 2014, Dr. Buckingham was a runner up for the highest score on the American Board of Facial Plastic and Reconstructive Surgery's Maintenance of Certification examination. The National Consumer Advisory Board is a private research organization that is dedicated to giving consumers information about top professionals across the US. Doctors chosen for its America's Best Physicians directory are selected based on an assessment of their experience, continuing education, training, and commitment to medical and professional excellence. The organization encourages other doctors to nominate their colleagues or those in their field who are deserving of recognition. 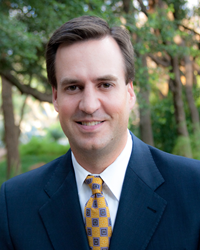 Dr. Buckingham is a double-board certified facial plastic surgeon in Austin, Texas. He is board certified by both the American Board of Facial Plastic and Reconstructive Surgery and The American Board of Otolaryngology. He earned his BBA in accounting from Dallas' Southern Methodist University and earned his medical degree from Galveston's University of Texas Medical Branch. Dr. Buckingham was a general surgery intern and Otolaryngology resident at UTMB. He then went on to a fellowship in Facial Plastic and Reconstructive Surgery at Albany Medical Center and at the New England Laser and Cosmetic Surgery Center in Albany, New York. Learn more about Dr. Buckingham at http://www.buckinghamfacialplastics.com. The mission of the Buckingham Center for Facial Plastic Surgery in Austin is to provide patients with the best possible aesthetic outcomes using the most advanced and latest surgical techniques. The center focuses exclusively on plastic surgery to provide patients with the highest possible level of care. Procedures offered include facelift, rhinoplasty, and non-surgical options such as fillers and laser treatments.